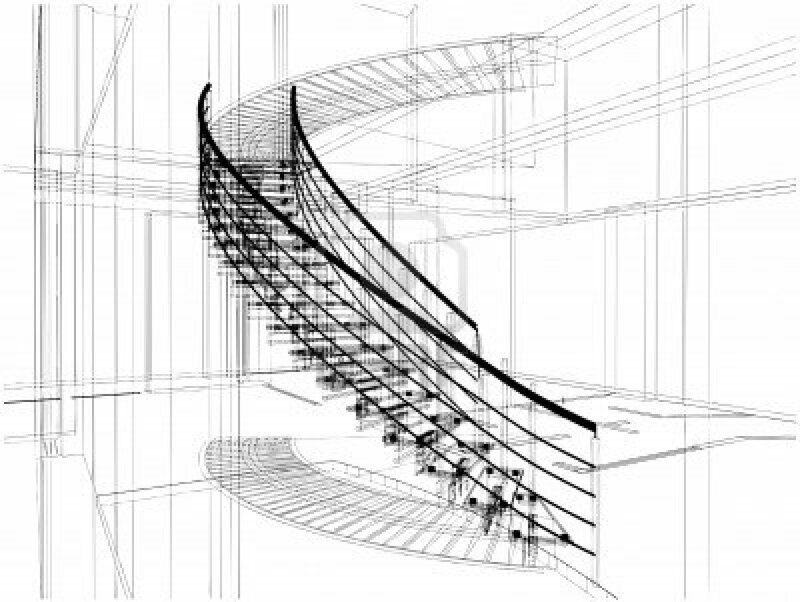 Couturier knows well that a quality ornamental curved stairway, straight stairway or railing project begins with specifying a qualified manufacturer. The first and most important step in achieving a quality finish ornamental package is assigning it's own CSI Division of 05700, 05710, 05715 or 05720 into your specification. Too often the assumption is made that ornamental metals are just an extension of the general metal fabrication division. By using the correct 05700 division, you can be assured that your project will be completed by qualified professionals who are specialized and experienced the industry. This will also ensure that your finished work will adhere to the building codes and maintain it's beauty through the years. If you're a specifier, architect or designer, we offer a wide variety of resources for you during the planning phase of your project. Even though metal forming is an old art, the craft is ripe for innovation and we keep up on the latest developments, tools and techniques which we share with our clients here. We offer spiral staircase design as well as architectural railing design and even ornamental railing design tools here for you to use in your project. When you need to utilize our services for the actual fabrication of components, this area of our site offers ornamental staircase and railing specifications. Most of these resources are available digitally for import directly into your project documents. Please don't hesitate to contact us if you need additional clarification or have questions of the assets we provide. To receive your free Couturier Iron Craft, Inc. Stairway Catalog, complete and submit our online form. The purpose of the specification page is to assist the design professional in correctly specifying Decorative metal Staircases and Railing products and the installation of them. The design professional needs to edit the provided specification to adapt to the needs design of their project. Specifications for Couturier Iron Craft Stairways and Railings systems are provided Microsoft Word, Word Perfect, Rich Text Format, Ascii Text and Adobe PDF formats (PDF requires Acrobat Reader). Please Note: It is very important that the Notes to the Specifier are visible while you are editing. For example, if using Word, use Tools/Options/Hidden Text to display these notes. Our specs will assist the design professional in correctly specifying decorative metal staircase products and the installation of them. Our specs simplify your design process! Specs for Couturier Iron Craft stairways and railings systems are provided in Microsoft Word format. Designers and Architects rely on the use of ornamental iron work to enhance their projects and create a visually pleasing effect. Custom stairways and custom ornamental railings are the top choice by many to arrive at that unique design. Couturier Iron Craft specializes in manufacturing, design and installation of stair construction. This website and its content is property of Couturier Iron Craft, Inc. 2013. All rights reserved. Any redistribution, reproduction or use of content or pictures on your of another website in part or all of the contents in any form is prohibited other than the following. You may print or download to a local hard disk & extract for your personal and non-commercial use only. You may copy the content to individual third parties for their personal use, but only if you acknowledge the website as the source of the material. You may not, except with our express written permission, distribute or commercially exploit the content. Nor may you transmit it or store it in any other website or other form of electronic retrieval system.